Scottsdale home inspection facts will always be a topic of discussion in real estate circles. Home inspections are likely to remain in steady demand as the real estate market is expected to continue to be relatively good in 2017. Home inspections are, of course, a valuable tool in assisting buyers in making informed, educated decisions about a house they’re considering purchasing. Home inspections provide a great deal of valuable information about the overall condition of a home. In addition, the inspection will assess those areas that may require both small and large repairs, as well as any visual issues that may affect the structural components of the house. As with any subjective art or science, the home inspection industry is often victim to a wide variety of myths and misconceptions. Let’s take a look at some of the more prevalent myths and see if we can separate fiction from the Scottsdale home inspection facts. Fact: An appraisal and a home inspection aren’t the same thing, nor do they set out to determine the same results. There’s a reason both an appraisal and a home inspection report are required by most lenders on real estate transactions – and the reason is they are two entirely different processes. An appraisal is a determination of the fair market value of a home or other piece of real estate. Utilizing Scottsdale home inspection facts can determine the condition of a home and its component parts – plumbing systems, electrical systems, roofs and floors, etc. – which, of course, may affect the home’s value, but the inspection report is more concerned with the home’s actual condition. 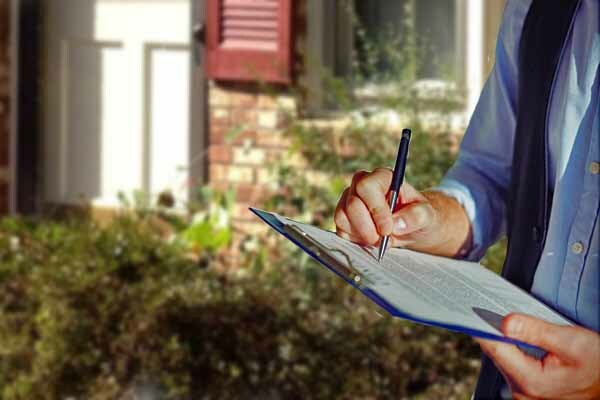 The American Society of Home Inspectors (ASHI) has taken steps designed to set certain standards for performance for its members. ASHI has several levels of certification and offers full certification to those inspectors who have completed a minimum of 250 home inspections and have passed a comprehensive examination. If you want to know more about your home inspector’s qualifications and just how much he knows about Scottsdale home inspection facts, have an in-depth discussion with him. Ask about his training and field experience. It’s also a good idea to ask for a sample of a typical home inspection report so you can see firsthand how thorough the report will be. Be on the lookout for these and other myths to distinguish from Scottsdale home inspection facts. They are great for providing a certain amount of information about a home. Just make sure you understand what that information is and what is being reported, recommended and observed by the home inspector. You can find more articles pertaining to Scottsdale home inspections in the Scottsdale Home Inspections section of our site below Scottsdale Real Estate Categories in the column to your right. Scottsdale home inspection tips like the ones found in this article could save you a ton of money. A home inspection is but one of the many expenses a homebuyer will face during the home shopping process. 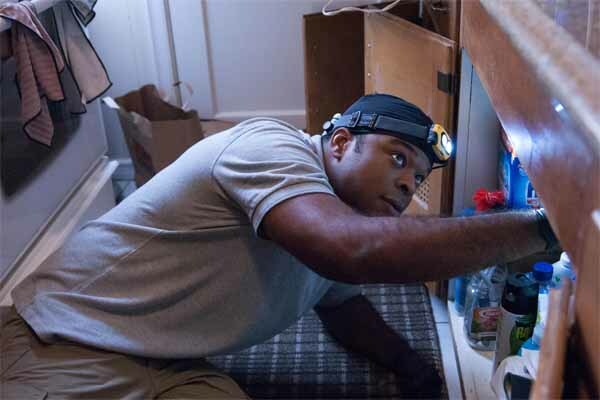 None is more critical – and potentially satisfying – than a home inspection. Experts say on a dollar for dollar comparison, a home inspection represents the wisest investment you can make regarding the home you’re considering purchasing. A thorough home inspection will examine and summarize your home’s good points and bad, giving you necessary insight to know how to proceed with the sales transaction. Let’s take a look at Five Scottsdale Home Inspection Tips worth considering. Second on our list of five Scottsdale home inspection tips includes getting a general inspection, which is solely for informational purposes. It stops short of requesting that inspected issues be corrected or repaired – but it does provide the prospective homebuyer the option to refuse to close the sale based on the inspection’s findings. Where’s the owner’s manual? Funny thing about homes – they rarely come equipped with an owner’s manual. Among our Scottsdale home inspection tips is the advice of many experts which recommends you accompany the home inspector while he’s conducting the inspection. He will be able to provide a good deal of information on how certain systems in the home operate. This will be invaluable at a later date should you decide to purchase the home. Use the report for the purpose intended Among our Scottsdale home inspection tips, when your home inspection professional has examined the home and has issued his findings in the report, review it closely. Ask questions as needed. Don’t be bashful and don’t be afraid of asking the proverbial “stupid” questions – there are none when you’re making a purchase of this size. Keep in mind that the home inspector’s role is that of a “generalist” to some degree, and less of a specialist regarding certain areas or findings. As an example, if the inspector finds possible evidence of a mold issue, he will likely recommend that you contact a company specializing in mold remediation to solve the problem. Lastly among our Scottsdale home inspection tips, if you opt to perform any repair work yourself or oversee its completion and decide to seek a credit from the home seller at the closing of the transaction, consult your mortgage lender. You’ll want to ensure you are able to request the maximum amount of credits as per the guidelines – usually 3%-6%. Remember, if the amount is in excess of what is needed you won't receive it, the seller gets to keep it. When you hire a Scottsdale home inspections specialist, there are often problems that even the most knowledgeable and experienced home inspectors can’t always see. While trained professional inspectors can notice wood rot, spot weak places on a home’s roof or locate cracks in a foundation, there are some areas that can go undetected. While a home inspector often can be a super hero, he isn’t Superman. He can’t use x-ray vision to see through walls, between floor joists or inside sewer pipes. 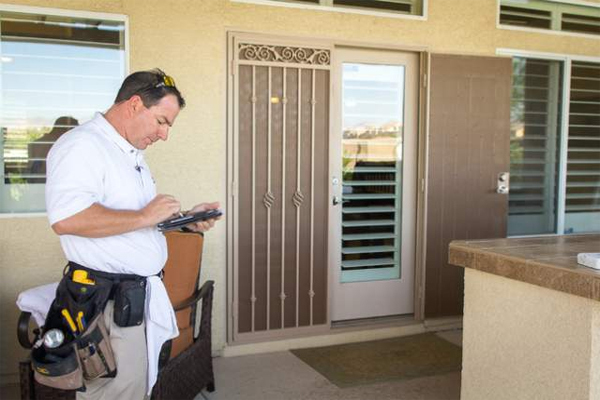 In addition, the main purpose of most Scottsdale home inspections is to uncover problems or defects that could adversely impact the value of a house or how safe it is for its occupants. While a home inspection is always a good idea and can certainly help verify the home is a good investment as well as a safe structure, there could be existing problems that may create additional issues at a later date. Let’s take a look at four areas of concern that can go undetected. In 1978, the federal government called for a moratorium on the production and use of lead paint and asbestos-based materials used in construction. If the home you plan to purchase was built before 1978 it’s a good idea to pay to have specialized tests conducted for these environmental toxins. In addition, higher than normal radon levels can occur in any home – no matter the age. While lead paint, dangerous asbestos and radon pose potential risks, they’re not included on the list of items most Scottsdale home inspections experts look for. If you know about these environmental toxins prior to the closing of the sale, ask the seller to pay for part of the costs to remove or contain the issues. Keep in mind, the costs of removing or containing these and other toxins can be surprisingly high. For example, according to the Environmental Protection Agency (EPA) the cost to professionally remove lead-based paint can run from $8 top $15 per square foot. On a 2,400 square foot home, that amounts to between $19,200 and $36,000! Scottsdale home inspections usually include the type of drain pipe used in the sewer disposal and an estimate of the pipe’s age. However, it probably will not include an assessment of the structural fitness of the sewer line or its overall condition. 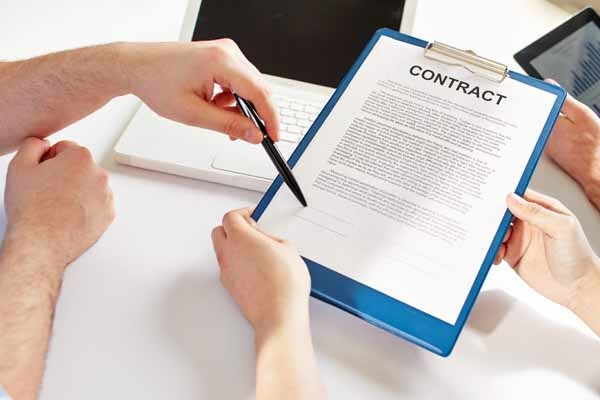 If you’re concerned with the sewer line in the home you’re interested in buying, you can have a separate inspection done by a qualified company. They will determine if tree roots or other obstructions have adversely affected the line. A complete video sewer inspection will cost $250-$500 – compared to a total sewer line replacement, which can cost $25,000 or more.